Update: The FBI has filed a motion to vacate today’s scheduled court hearing and showdown over its demands that Apple help unlock a terrorist’s iPhone. Update The FBI has dropped its case filed a motion to vacate today’s scheduled court hearing and showdown over its demands that Apple help unlock a terrorist’s iPhone. The government late Monday afternoon filed a motion to vacate its case, likely putting a halt to a saga that began in mid-February when a federal magistrate ordered Apple to help the FBI access a phone belonging to one of the shooters involved in last December’s attack that killed 14 in San Bernardino, Calif. The motion also indicates that the FBI may have found a way onto the phone without Apple’s help. 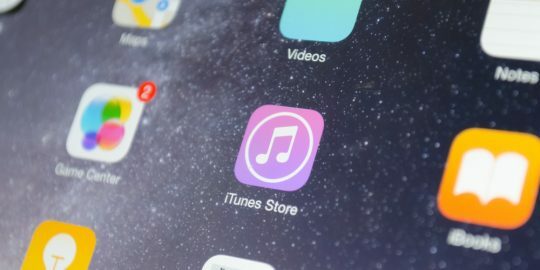 Security and privacy experts stood alongside Apple, which from Day 1 contested the court order on the grounds that it would set a dangerous precedent by weakening the encryption protecting its devices and allow the government and law enforcement to use the 200-plus-year-old All Writs Act as a launchpad to access data stored on other devices in the future. The government said in its motion that it will file a status report with the courts by April 5. In the meantime, this is a landmark win on many fronts, starting with those who advocate for privacy and against surveillance, and for technology companies, many of which sided with Apple and surely had some anxiety about the possible outcome of tomorrow’s scheduled hearing. Indeed, law enforcement and government officials, starting with FBI director James Comey have made their case for exceptional access since the day Apple relinquished control over encryption keys to the user and the device. No longer could the FBI compel Apple to hand over user data via a warrant. The Apple case, experts said, was the FBI’s way to regain some of that reach by using the courts to compel Apple to build new firmware that would allow the FBI to conduct an offline brute-force attack against Farook’s iPhone 5c in order to guess the passcode without wiping the device. Current protections on the iPhone introduce a time lag between incorrect guesses, and on the 10th miss, all data on the device is wiped. This article has been update to correct the headline and incorrect information that the FBI has dropped its case against Apple. I will point out that the FBI's motion comes immediately after Apple released a new iOS version, which comes with a list of fixed iOS vulnerabilities. No doubt some intern at the FBI found one they think they can exploit. Well, no. At most you can say that this particular iPhone 5c, secured with a 4 digit pin, is not secure (which pretty much every security expert has been stating since the outset of the case). Correct! I miscalculated just assumed that since they said that the person only used a 4 pin numerical code, automatically wrongly assumed for example 1234 = 2^4,instead of 0 to 9. If the default is 6-digits why did the phone only have a 4-digit code? I thought that they said that the terrorist was dumb because he used a pin instead of a strong password. If he had a choice to use 6-digits instead of 4-digits how and why did he used 4 digits? It doesn't make any sense for the FBI to prosecute Apple, at least at this moment in time. Recently there was a computer expert on UK TV that stated that there are possibly numerous ways to obtain the information from an iPhone. Therefore, either why doesn't the FBI already have the expertise or contact, for example, NSA? I think that there was a fiasco in recent years that NSA didn't supply probably the FBI with information when a famous terrorist entered the USA and probably planted bombs, but they are probably still not cooperating with each other it seems. Do you mean the government? Your comment makes no sense and has therefore wasted our time. It is usually the person prosecuting that has the ability to drop the case and not the defendant (person being sued). But what I also don't understand is why was the FBI allowed to start prosecuting Apple and allowed an adjournment? Once prosecuting begins the case should continue until a judgement is made unless both parties agree to the adjournment. Did Apple agree to the adjournment (temporary suspension)?
" 1st Rule of IT security, nothing is 100% secure. 2nd Rule of IT security, anything can be hacked given time. ",skramsv It is the same for software and hardware. except hardware will always takes the same difficult/easy process to get the data chip and key. Apple would be more than happy to not be requested by FBI to create/use software to unlock the phone. You want the cloud data? Fine we'll be nice and give it to you. You want the local phone data? unlock it yourself, via hardware or with your own money. It actually appears that no smartphones are safe, especially if Apple's iPhones aren't safe. Google Android's third-party Partners t appears have been giving security such a low priority proper security for Androids probably don't exist. For example Stagefright it was claimed affected about 95% of all Android phones/devices = about 950 million Android Devices Worldwide probably the worst Trojan against at least Android Phones created in history There are probably still millions of Android Phones still aren't properly protected by Google and its third-party partners. Edward Snowden stated (I think on a Panorama UK television programme) that no Smartphone is secured, and that the security services are able to control any smartphones probably in the world. What I find interesting why should FBI prosecutes Apple when either; the USA or the UK's security services probably tape virtually all phone calls and, therefore, a government agency should already have the information unless their hype over the years of what they can do was completely false. I think that one of the television news programmes in the UK stated that the court hearing was just adjourned for a day to see if the FBI could hack the terrorist's iPhone. Therefore, if the FBI can either; 'hack the iPhone or if the case is continued then it is bad news for all smartphone users. It appears that most terrorists are probably created by the security services. If Security Services do supply methods of hacking phones to possible future terrorists than like I said no smartphone is safe. "The motion also indicates that the FBI may have found a way onto the phone without Apple’s help." Yeah, right! Gotta go,my BS detector started to get noisy, it must be broken. FBI is so dumb they deserve to lose their case. If Apple uses some of the points that I have made about backdoors being a security risk and would probably get more military and security forces killed than they would save etcetera than FBI should lose their case. One reason for giving long prison sentences to spy informers is because they jeopardize peoples' lives. Any person who dies because of backdoors are fitted into electronics who; at the FBI, politicians or judges will be executed and placed in the electric chair? I don't think that Apple has done a deal to insert a back door, because if they have then sooner or later the world will know. Instead of being one of the richest companies in the world it will probably be bankrupt if Google and third party partners get their act together. Why doesn’t the FBI prosecute the NSA instead of Apple, since they must actually have the information? 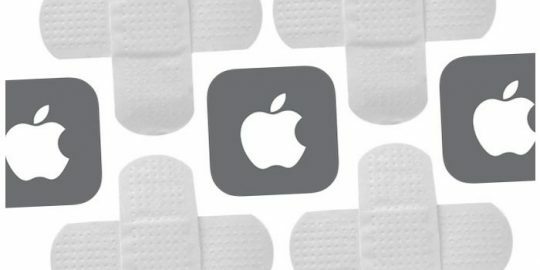 If the latest iOS closed a bug that the security services have been using then that is excellent for iPhone users, but what constructively are Google and its 3rd-party partners doing about the Android fiasco security? But I never really understood this push against encryption. There are already encryption methods that surpass any US gov agency's ability to decrypt, and don't have back doors. Russia has it, China has it, the rest of the world has it, and they produce their own products, including smart phones and OSes. So if a US law says you can't encrypt unless it has a backdoor, US companies, citizens, and yes, even US gov organizations will have vulnerable electronics, from servers, to PCs, to smart phones, while the rest of the world is encrypted and secure. When any organization becomes that dumb, it might be a good idea to disband, or at least fire everyone and get people that aren't 50+ years outdated or just plain barking idiots. I missed the obvious problem of even the security services and government agencies will be vulnerable to electronics having backdoors. Soon, we may be having autonomous self-driving cars, but far too many people haven't taken into account what happens if serial murder hackers start murdering people by hacking their vehicles to kill people with. World War 3 Cyber Warfare Hacking; hospital systems and nuclear power stations, Smart (computerized) Homes when available etcetera, because the; politicians, security services, and judges are completely incompetent. Wasn't it NSA who probably had all their Employee Files etcetera stolen, and if so their security leaks as a sieve. It appears that the best; hackers or warriors can hack security organizations whenever they feel like it because the security services are out of their league. How many security people's lives, and others, etcetera will be placed at risk if backdoors were placed in electronic devices? Shouldn't; FBI, NSA, and CIA together with GCHQ all be working together, and if so, how did this fiasco prosecuting Apple occurred, because security services based on their hype for years should already have the information? I have just realized that if the FBI together with; NSA, CIA GCHQ cannot hack a 4 digital pin it says a lot about their computer competence, despite that the phone will delete after maybe 10 guesses out of 16. Back to Kindergarten math for you. 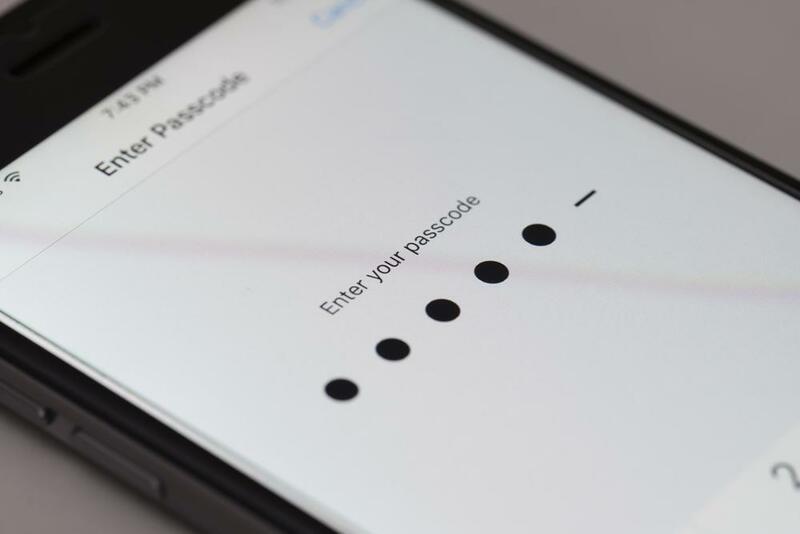 A 4-digit pin code has 10,000 possible combinations; and oh by the way, an iPhone is not limited to a 4-digit pin code, in fact, it defaults to a 6-digit pin code in iOS 9+. That means there a over 1 million possible combinations between the 4-digit and 6-digit options. But wait, there's more, iPhones also accept ASCII passwords of up to 32 characters which is 94^32 combinations. In a best case scenario, the passcode would have to be guessed correctly within 10 attempts on 10,000 possible combinations. In a worst case scenario, the passcode would have to be guessed correctly within 10 attempts on 94^32 possible combinations. If the FBI, or anyone else, has successfully cracked the iPhone encryption, it's much more likely that they found a bug to exploit a service on a fully booted iPhone so they could dump the contents over the network connection. Already replied, and admitted my stupid mistake. But my mistake is not as bad as the; FBI, Politicians, Judges, Military, and the security services. If Apple then argues; 1: If they install a back door how long would it take for hackers to hack the FBI who have verified that they don't have the relevant computer skills to protect their own data from being stolen? 2: How long would it take if backdoors are installed for security and military lives to be lost? 3: How quickly would world War 3 Cyber War take place? 4: Hospitals, Nuclear Power Stations, Airplanes, the USA President, and leaders all around the world would also be vulnerable. 5: A number of years ago I am reasonably certain that even on AirForce One the USA's President plane they actually found counterfeit parts. 6: We may have in the near future; autonomous (self-driving) cars and smart homes controlled by computers, but how easy will they be able to hack and murder people? 7: Competent Bank Robbers don't rob banks anymore but use the internet. 8: If back-doors were placed into electronic devices how long do the idiots who are promoting back-doors think that the advantages outweigh the disadvantages? 9: FBI can put up £100,000,000 reward that nobody can steal any information from them (including their staff) let's see how long they can keep the money for. 10: When they lose it they can put up together with the cretins who believe that back-doors are safe another £100,000,000 pounds sterling because it is worth more than U$100,000,000 USA dollars, and they can keep offering rewards until they realize how dumb they are. 11: The judge can find out if any of the USA security forces has ever provided computer skills or equipment including software and hardware that have been used directly or indirectly against the USA or its friends, and if so FBI should lose its case with the cretins who support the FBI. A bit of a dumb comment about people claiming it is not possible to place a golden key. Of course it is, somebody sets the thresholds, right?